For couples interested in achieving pregnancy or for couples who are trying to conceive and have been unsuccessful, Stowe Natural Family Wellness's preconception health program is a wonderful alternative or an adjunct to high-tech fertility treatments. This program helps you focus on removing obstacles to health in order to achieve individual health goals and a healthy pregnancy. First visit - We discuss medical history, family history, current conditions, diet, lifestyle and future goals. We also complete a full screening physical exam and routine bloodwork, and provide an overview on the philosophy of naturopathic medicine. Second visit - Review labwork and discuss a 2-week detoxification plan tailored to your individual needs. The detox plan includes dietary and exercise recommendations as well as supportive therapies and supplements to assist your body in its natural elimination process. We also discuss hormone balancing and regulation, which is important for both males and females for optimal health and pregnancy. Third visit - After completion of the 2-week detox plan, we discuss how to maintain a state of optimal wellness with an individualized, comprehensive preconception plan, which addresses lifestyle factors such as nutrition, exercise, and stress management. We will also discuss how to limit toxic exposure, nutritional, botanical, or homeopathic supplementation, and fertility awareness. At Stowe Natural Family Wellness, our naturopathic physicians are also trained midwives and/or birth attendants. 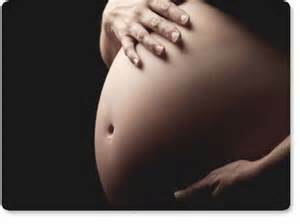 Their experience with women and families in pregnancy and birth provides them with unique insights into this life-altering experience and enables them to foresee situations and conditions unique to pregnancy. We are excited to assist in a healthy start for each child. For optimal pregnancy outcomes, both partners are encouraged to participate in the Pre-Conception Health Program.